Where do I start? My NYCM recap can really be 10 posts. At least. The whole experience, from start to finish, was amazing. 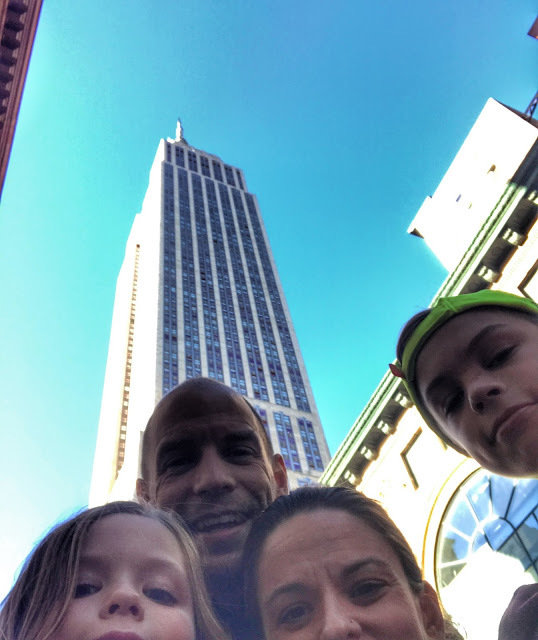 Ward and I had been wanting to take the family to NYC for a bit now and when it was decided that I was running the New York City Marathon, it became a family trip as well. But first we needed to stop at LL Bean to get some fuel, coffee, tea and snacks for the road. We arrived in NYC on Friday, checked into our airBnb then made our way to the expo. After being crammed in a car for 6 hours, I just really wanted to move my legs. So we walked to the expo. I know, I know, save my legs for the marathon. BUT being able to experience NYC with my family was SO worth it! When we made it to the expo, I couldn't help but notice how amazing it was. Getting my bib was easy peasy. Then I made my way to the t-shirt area. 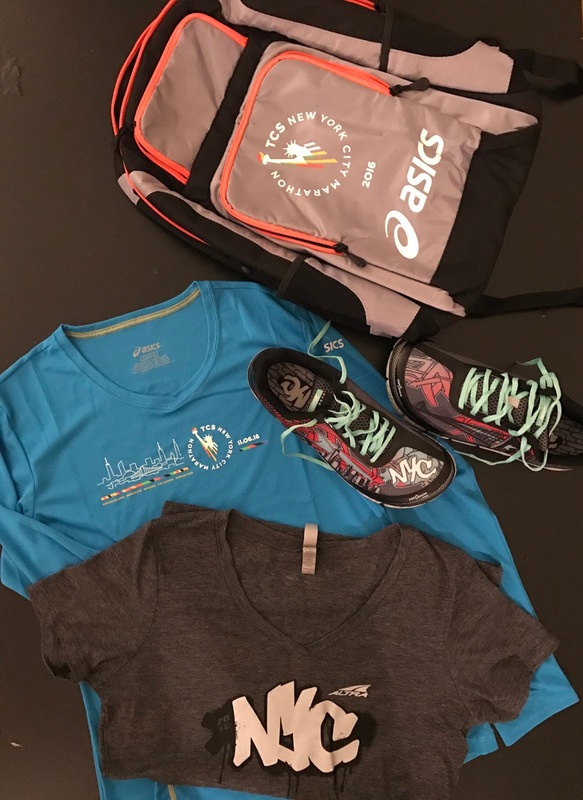 There were volunteers out there holding up different sizes of the shirts and had you try them on first before you picked up your official marathon shirt. The whole bib # and shirt process took maybe 5 minutes and then I was back to my resting family, who was like "you're back already?" Perhaps sounding a little disappointed. I think they were tired. So, of course, I needed some photos! Then after all of the bib excitement, we made our way to my most favorite part of the expo - the Altra booth of course! I've been dreaming about the NYC Torins for almost forever. And then...... I saw them. Oh my word, they seriously are the coolest shoe ever! And now they are mine! I got to meet some of the fine Altra Reps, which was super exciting being an Altra Ambassador and all. After I bought the shoes and an Altra shirt (oops! ), I had to buy a backpack to carry all of my sweet NYCM haul back to the apartment. Of course! But I was frugal and bought the one one sale. After our expo visit, we did some shopping and started walking back to the apartment. But first we stopped for dinner at the Tic Toc Diner. After that we decided we had enough walking and took an Uber back to the apartment. But first, we had to admire the skyline. Something us small town Mainers are just not used to. Amazing!